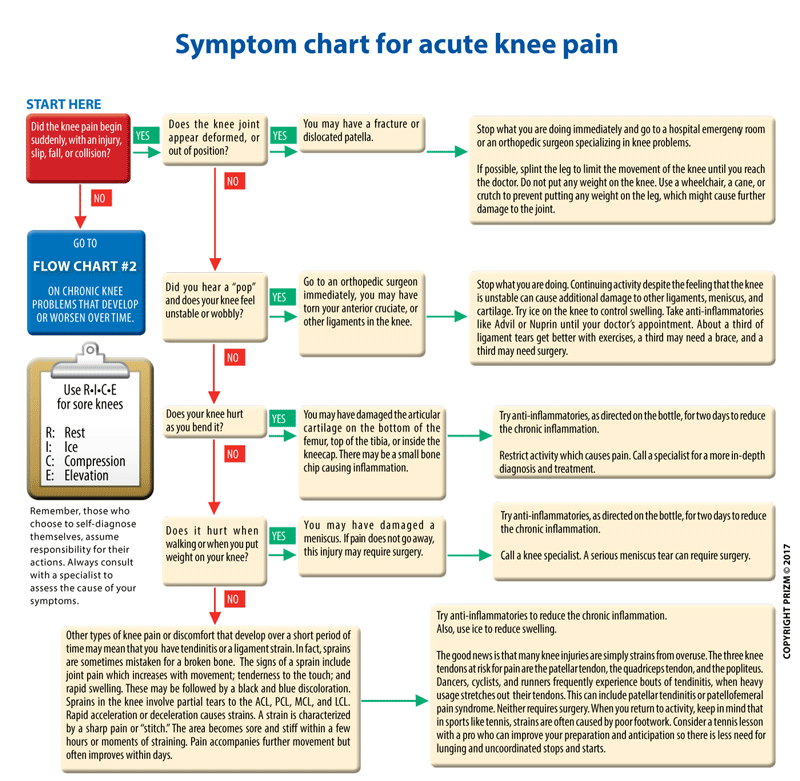 Knee Pain is broken down into two categories: acute or chronic. 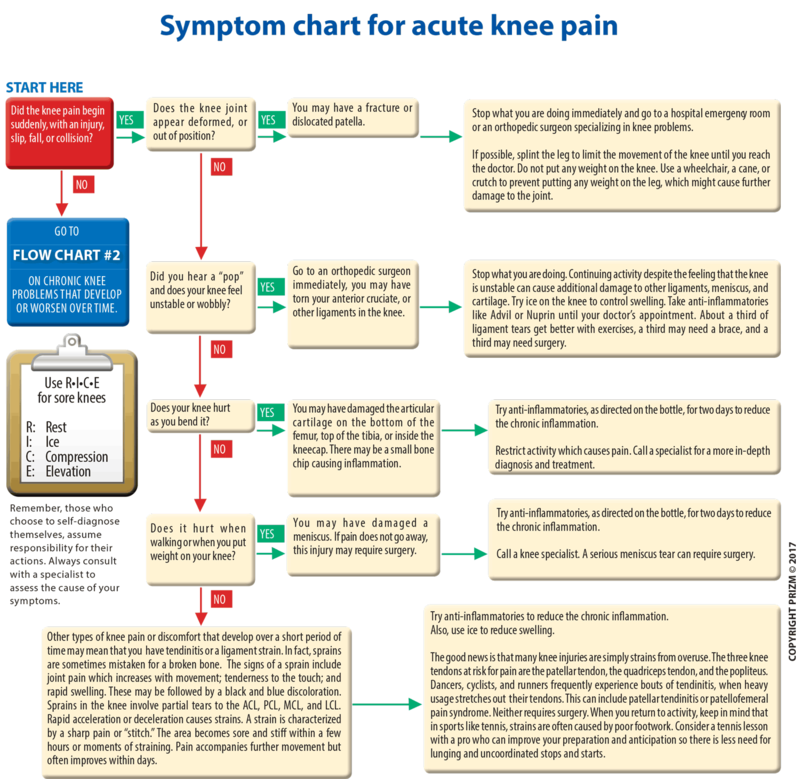 If you fall down and hurt your knee or twist your knee, that is called “acute” knee pain. Chronic pain is something that occurs more gradually over time, often getting worse as weeks and months go by. 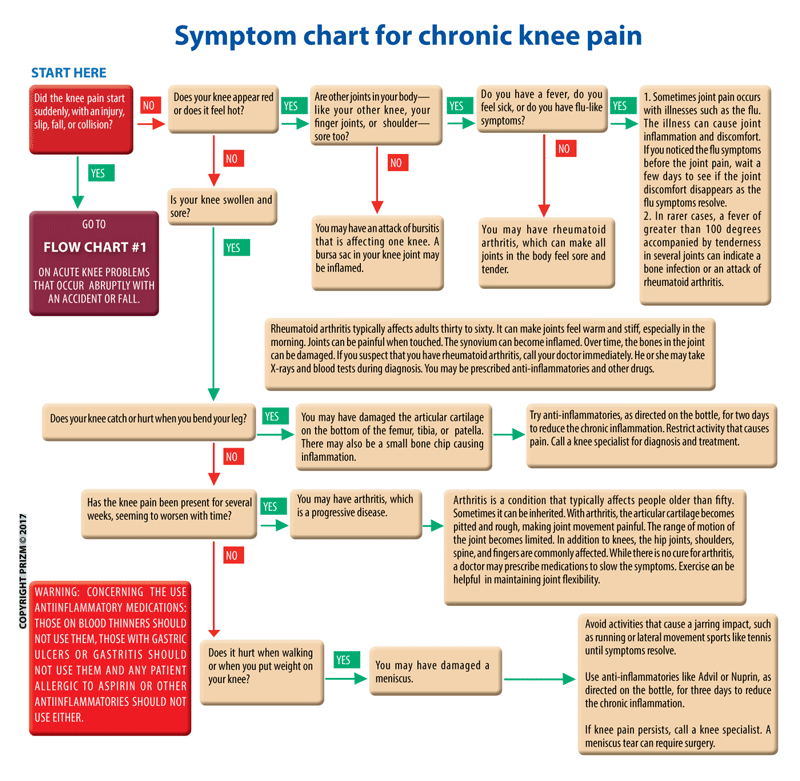 Unlike acute pain which can be linked to a specific event or time – like when you fall or twist your knee – chronic pain is more like an ache that is not linked to any event. Your doctor will ask when and how your pain started to learn more about the potential cause of pain. These two terms are sometimes used together. However, technically they differ. A strain occurs when a muscle is overworked or overstretched. Sprain relates to ligaments, or tendons. For instance a strain can occur at the start up of a new exercise regime. If the body is not properly stretched, than sudden impact can tear muscles, ligaments, tendons, and soft tissues. As our body becomes accustomed to an exercise, say running, it compensates forpotential injuries by strengthening muscles and ligaments. If we start a running program after living a relatively sedentary lifestyle, our body has not had a chance to compensate yet, and we are more prone to a strain. The location of the injury should clarify any confusion over whether it is a sprain or strain. Strains occur in the muscles of the thighs and calves. Sprains are found around joints—knees, ankles, or wrists. A bone can break for a number of reasons. A traumatic injury such as a car accident can cause a bone to break. Other causes for bones breaking can be “stress” fractures where a bone is used repetitively and because of compression, it breaks. Between the tendon and the skin are small sacs called bursae which allow the skin to smoothly and painlessly slide over bones. When the bursae become inflamed, any knee movement can cause pain. In the knees, one function of the bursae is to allow the knee cap to move around freely without pain. Repetitive kneeling and/or direct impact on the knee can cause the bursae to swell and cause pain. Those in professions where the knees are often bent such as masonry, house cleaning, carpet layers, and electricians are more likely to experience post-patellar bursitis. At other times, the condition can occur when the sacs become infected. Usually for this ailment surgery is not necessary (although may be called upon in extreme cases) and treatment includes avoiding bending of the knees and relieving pressure to the knee cap. 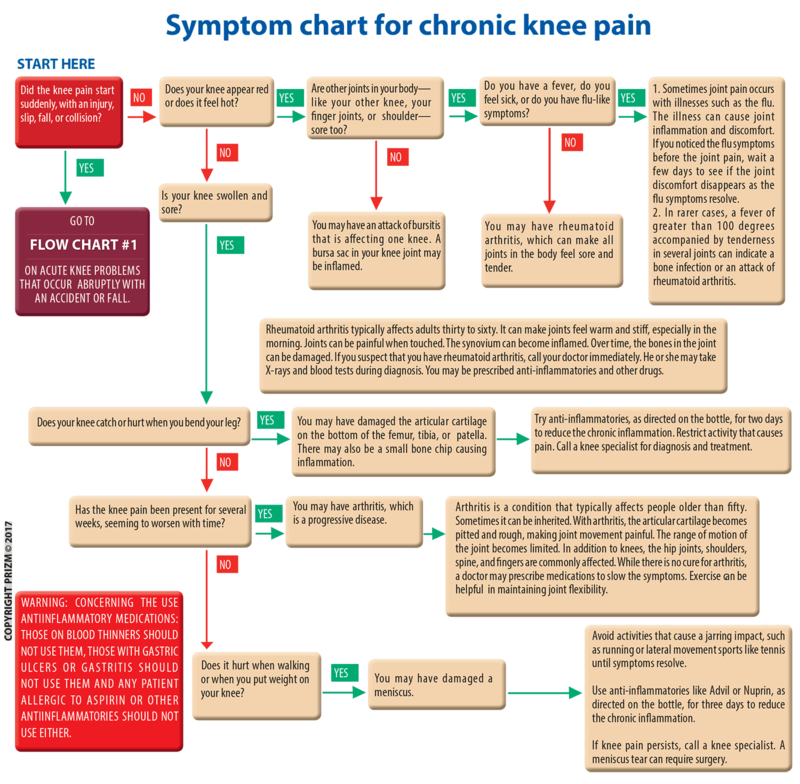 Knee cap pain – the pain usually become most noticeable when walking up stairs, going down stairs, running or sitting. Pain from a torn meniscus – the meniscus is the cartilage that keeps the femur (the thigh bone) and the tibia (the shin bone) from hurting or grinding when they rub against each other. If the meniscus is torn, stretched or out of place, pain may occur when the joint is moved. Pain from ligament problems – there are four ligaments in the knee: the anterior cruciate ligament, the posterior cruciate ligament, the medial collateral ligament, and the lateral collateral ligament. When the ACL is torn, it is often because the leg rotates while the foot stays planted on the ground. Often times an ACL tear is accompanied by a loud popping sound from the knee and the support of the knee gives way. A posterior cruciate injury happens when the knee is forced backwards or when it receives a hard impact. A medial collateral ligament injury most commonly occurs when the knee is hit from the outside while a lateral collateral ligament injury occurs when the knee is impacted from the inside. Pain from tendon problems – inflamed tendons that connect the knee cap to the shin bone can cause pain. You should have a knee specialist check them out to be sure you are not doing further damage to the knee joint. A loud “pop” for example that comes from an abrupt physical movement, during basketball or tennis, can signal a torn anterior cruciate ligament. There may also be a feeling of instability or nausea. A torn ACL is very serious and needs the attention of a knee specialist promptly. *Note: The more of these symptoms you exhibit and the more intense they are, the worse the problem could be. During the medical history, the knee doctor will try to find out if you have developed your problem through heredity, through lifestyle habits or through a sudden sports injury. This will give the physician the best idea of how to find out exactly what is wrong, and then suggest proper treatment of the injury. You should indicate to your doctor if you have been using steroids since they can cause joint inflammation. Lyme Disease from the deer tick and rheumatoid arthritis can also trigger joint inflammation, for instance.